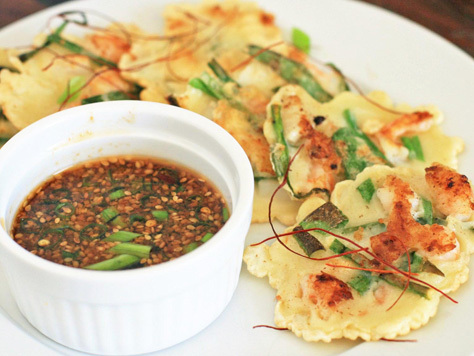 A savory Korean pancake loaded with shrimp, scallops and green onions. Served with a killer soy sesame dipping sauce. Gluten-free!